With the release of Nova Scotia’s “2015 Electricity Plan: Our Electricity Future” and the subsequent launch of the “Solar Electricity for Community Buildings Pilot Program”, Halifax Water saw an opportunity to further increase our use of renewable energy. 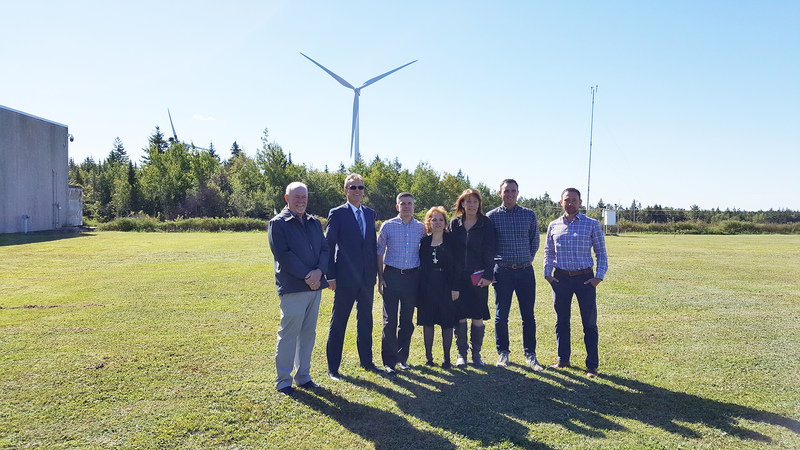 On September 24th, Immigration Minister, Lena Diab was at the Pockwock WSP to announce that Halifax Water, The Hope for Wildlife Society and Knox United Church had been approved for the Solar Electricity for Community Buildings Program. Halifax Water’s project will see the installation of approximately 200 solar photo voltaic (PV) modules. Annual energy production is expected to be in excess of 100,000 kWh, which is equivalent to the annual energy use of roughly 100 Nova Scotia households. Over 72 Tonnes of CO2 equivalent emissions will be removed from the environment on an annual basis. Solar energy can be utilized by Halifax Water at a number of its facilities. We look forward to taking advantage of future funding programs to help ensure we do our part to pass on a legacy of sustainable energy generation.